December 17th, 2014 - Click Here to view a video of Larry Shaw customer, Rick Delaine on his way to the victory in the Al Delaine Memorial. 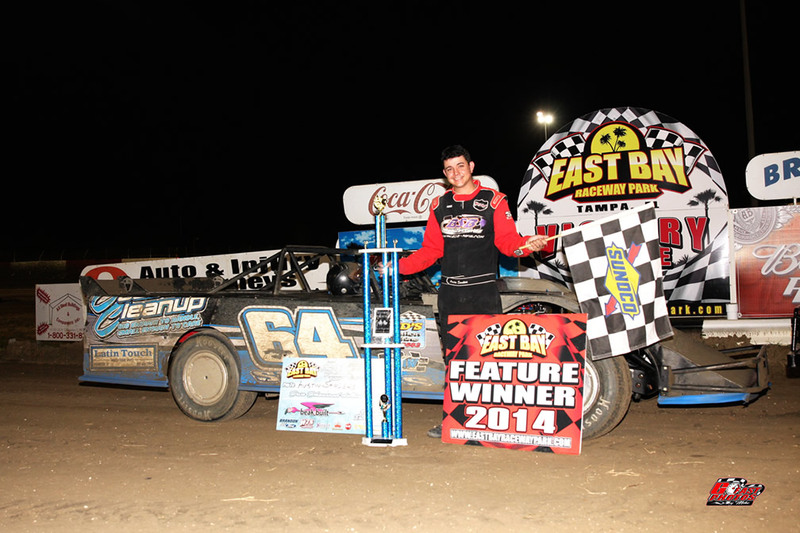 December 15th, 2014 - Austin Sanders powered his Larry Shaw #64 Pro Power Racing Modified to the feature win on Saturday night at East Bay Raceway Park (Gibsonton, Florida). With the victory he also claimed the track title for 2014! November 24th, 2014 - Austin Sanders raced to the $2,000 win in his Larry Shaw Modified on Saturday night at East Bay Raceway Park (Gibsonton, Florida). Also, Michael Turner officially claimed the Modified Track Championship at Camden Speedway (Camden, Tennessee) in his Larry Shaw chassis. November 18th, 2014 - Larry Shaw Race Cars would like to salute more clients for their late-season accomplishments. November 11th, 2014 - The Merchandise section has been updated with the brand-new, Larry Shaw long-sleeve shirts. 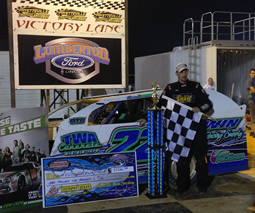 November 10th, 2014 - Larry Shaw client, Josh Ray raced to his second feature win of the year over the weekend with a triumph at Riverside International Speedway (West Memphis, Arkansas). November 4th, 2014 - More Larry Shaw Race Cars drivers found their way to victory lane over the weekend. October 19th, 2014 - Congratulations to the following Larry Shaw Race Car customers, who recently visited victory lane. October 11th, 2014 - OneDirt.com did a shop tour of Larry Shaw Race Cars with Kevin Shaw. Check out the video by Clicking Here. October 7th, 2014 - Larry Shaw sends a big congrats out to the latest winners and track champions! October 3rd, 2014 - Larry Shaw was recently featured in a One Dirt sit-down interview to talk about his career in racing. Click Here to view it. September 11th, 2014 - The 18th Annual Racewise Seminar is officially set for January 8th-10th, 2015 in Batesville, Arkansas. Racers and teams save this date on your calendar and get signed up by calling 870-251-2966. August 23rd, 2014 - With the season beginning to wind down our competitors are claiming wins and championships. August 15th, 2014 - The For Sale section has been updated with a host of items. We Thank you for all your love & support we felt during this time for the loss of my mom, (Jetta Burrow) May God Bless you! From our family thanks for the prayers and calls for the loss of Cheryl Shaw's mother. Jetta Burrow was the best Mother, grandmother, mother in law a family could ask for and she loved her family and life in general. Funeral service will be 2:00 p.m. Saturday, July 12, 2014 at Rosie Baptist Church. Burial will be in Wyatt Cemetery. Visitation will be 5:30-7:30 p.m. Friday, July 11, 2014. In lieu of flowers, donations can be made to Rosie Baptist Church Building Fund, American Cancer Society, or the charity of your choice. July 4th, 2014 - Larry Shaw Race Cars victories are already starting to roll in for the holiday weekend. June 30th, 2014 - Congratulations to our weekend victors! 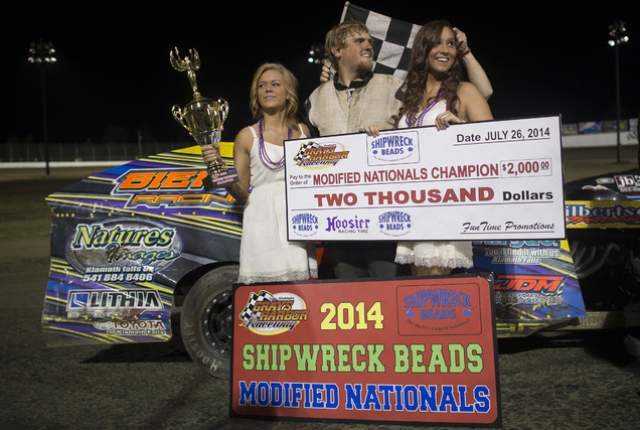 June 22nd, 2014 - Wins are already being reported from the weekend by Larry Shaw Race Cars customers. 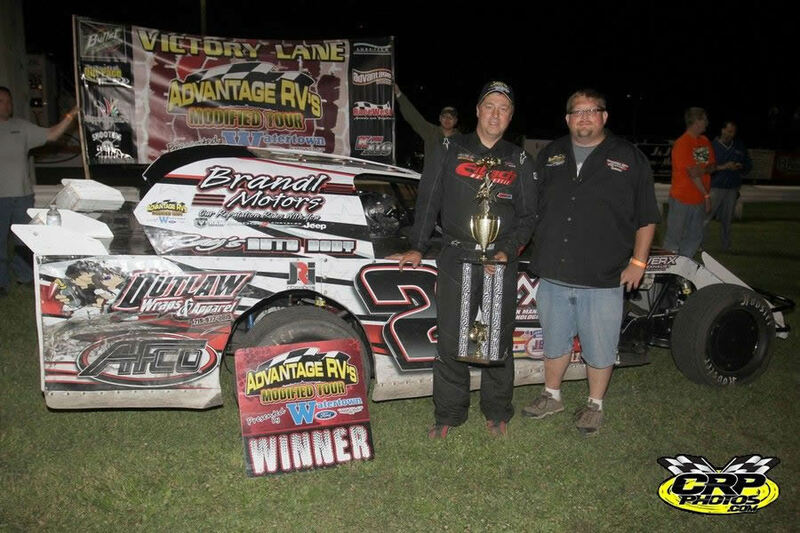 June 7th, 2014 - It's been another wet weekend, but some Larry Shaw Race Cars customers were able to race and find victory lane. 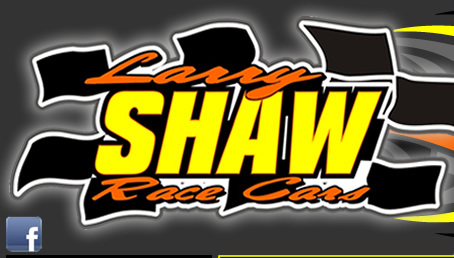 May 11th, 2014 - As always Larry Shaw Race Cars greatly appreciates all of its incredible customers for their support, and we salute them for their wins over the weekend. May 5th, 2014 - A beautiful weekend across the country found Larry Shaw customers winning several feature events. April 27th, 2014 - Congratulations to drivers, who have found their way into victory lane during the final weekend of April. April 21st, 2014 - Wins are already starting to be reported by Larry Shaw Race Cars customers from weekend action. 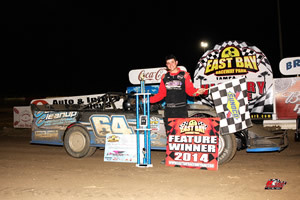 April 13th, 2014 - More races and more wins for Larry Shaw Race Cars customers over the weekend. Congratulations to all of our great drivers, and thanks for your support! 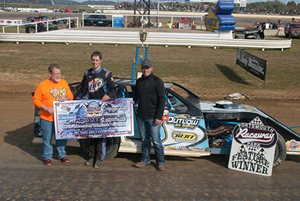 March 31st, 2014 - Larry Shaw Race Cars customers enjoyed a great weekend with several wins across the country. 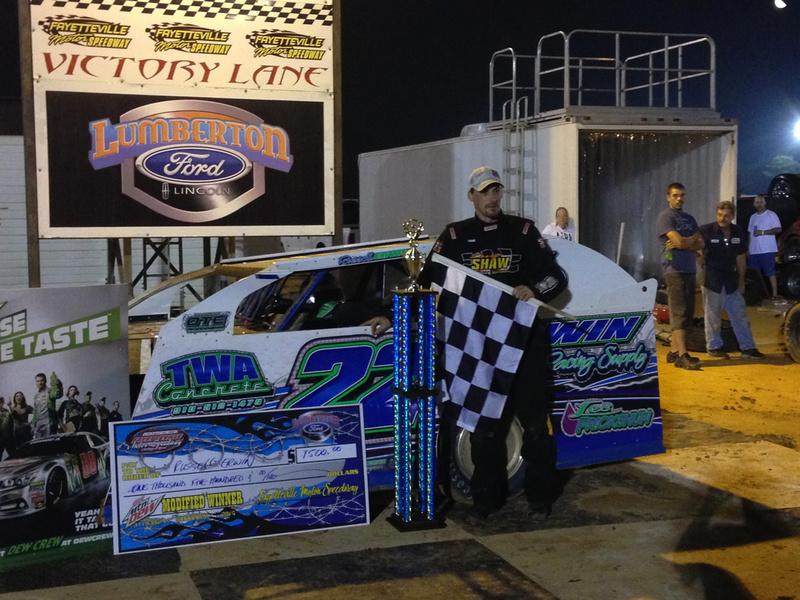 March 24th, 2014 - Another weekend and more wins early in the season for Larry Shaw Race Cars clients. Congrats to these great drivers on their achievements. March 17th, 2014 - Larry Shaw Race Cars customers enjoyed a great weekend as Mother Nature finally allowed a handful of tracks across the nation to return to action. 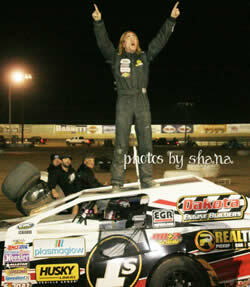 March 3rd, 2014 - Ricky Thornton Jr. piloted the #5m Madrid Motorsports to another feature win on Saturday night as he topped the opening round of the Copper on Dirt at Canyon Speedway Park (Peoria, Arizona). February 24th, 2014 - Make sure to check out the YouTube.com channel for Larry Shaw customer, Scott Bintz, by Clicking Here. February 13th, 2014 - Kyle Bronson raced to the feature win in the 43rd Annual DIRTCar Nationals at Volusia County Speedway (Barberville, Florida) on Thursday Night in his #40 Larry Shaw Open Wheel Modified. February 1st , 2014 - Ricky Thornton Jr. continued his winning ways on Thursday night and Friday night as he again piloted the Madrid Motorsports Larry Shaw entry to a pair of feature wins at Canyon Speedway Park (Peoria, Arizona) for his fourth triumph in as many events. January 27th, 2014 - Ricky Thornton Jr. enjoyed a great outing over the weekend in the Anthony Madrid Motorsports, brand-new Larry Shaw Race Car as he raced to a pair of victories at Canyon Speedway Park (Peoria, Arizona)! Congrats to Scott on his successful start to the 2014 season in the desert. Racers please make sure to Submit your achievements to be posted here on the website.